Aristotle was born in 384 B.C., in the town of Stagira, Chalcidice, in Greek Macedonia. His father Nicomachus was a personal physician to Amyntas II, king of Macedon. Amyntas was the grandfather of Alexander the Great. As a result of his political connections, Aristotle's father became very rich, acquiring estates all over Greece. Before long tragedy struck and his mother Phaestis died. Then shortly after his father died. At the time, Aristotle was taken to the Greek city of Atarneus where he was raised by his older sister Arimeste and her husband Poxenus. When Aristotle turned 17, they sent him to Athens to receive an education. He soon enrolled in Plato's Academy which was considered the best school available. While attending the Academy Aristotle studied under the great philosopher Plato. He and Plato would form a lasting relationship that spanned two decades. At the Academy, Plato often referred to Aristotle as a mind with legs. Aristotle studied very hard and soon went from student to instructor. However, over time Aristotle began to question Plato's philosophy. Plato's philosophical approach was deeply routed in religion, while Aristotle's approach was more scientific. It is believed that this is the reason that Aristotle did not take over the Academy when Plato died in 347 B.C. To Aristotle's disdain, Speusippus, a cousin of Plato, was chosen. After Plato's death Aristotle was invited to Atarneus by King Hermias. Hermias was a former mercenary who was now the ruler of Atarneus, Assos, and Mysia. Hermias had once visited the Academy and he had been very impressed. Hermias wanted nothing more than to turn Atarneus into a center of Greek culture. He believed that Aristotle could help him accomplish his goals. Aristotle served three years as his adviser. During this time he married the niece of Hermias who was named Pythia. They had one child. Not long after they married, Aristotle founded his own school at Assos. Then just three years later he moved to the island of Lesbos, and founded another school. At the time he became increasingly interested in the classification of plants and animals. While on Lesbos, Aristotle attempted to discover a hierarchy of classes and species. He was convinced that every animal had its function, and that nature does nothing in vain. 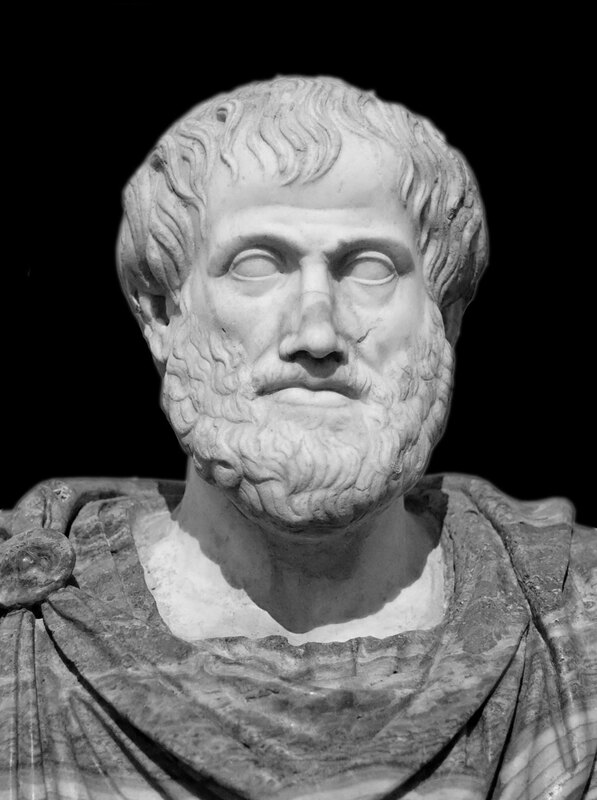 By now, Aristotle had achieved the reputation as one of the greatest minds in Greece. At the same time, Philip of Macedon had overrun Greece. Philip invited Aristotle to become his son's tutor, who was named Alexander. Because Aristotle's father had been Philips father's personal physician, they considered him family. Aristotle took the job and soon moved to the capital of Macedonia, which was called Pella. At this time, Aristotle was 42 years old, and Alexander was 13. Then in 336 B.C., Philip of Macedon was assassinated and Alexander the Great assumed the throne. Before long, Alexander began conquering the known world. At this time Aristotle returned to Stagira for five years before relocating again in Athens. While in Athens, Aristotle established his own school. The school was called the Lyceum because it was attached to the Temple of Apollo Lyceus. The school taught a wide variety of subjects including ballroom dancing. Aristotle was known to give lectures while walking with the students. Aristotle is credited with being the founder of logic. He was also a meta physician, and a master of ethics. However, his most significant achievement came in the field of logic. He believed that it was the foundation of all learning. He called this field �analytika� or unraveling. Aristotle died in 322 B.C.